We're back with another addition to Japlanning's day trip series with everything to do in Miyajima from Devon! Part of the Seto Island Sea National Park and boasting a UNESCO World Heritage Site, Miyajima is a small island located about an hour from Hiroshima, the perfect distance for a wonderful day trip. A divine island where “God dwells”, its’ official name is Itsukushima. However, due to the giant Torii Gate and numerous shrines, it is more commonly known as Miyajima or “shrine island”. Deer, monkeys and raccoon dogs roam the island, and tend to be friendly but keep your distance. They can nab food and bits of paper out of bags and backpacks. Much like in Nara, refrain from feeding them unless you don’t value your fingers. Although you can do most activities on the island in one day, if you’ve got some extra spending money take advantage of the many ryokans on the island and spend the night in a traditional Japanese inn. We've talked a lot about the big cities that most visit: Tokyo, Kyoto, and Osaka. These are hubs you usually spend a few days in, so now it's time to reveal some great day trips from these cities that escape the big city vibe and give you amazing experiences not too far away! 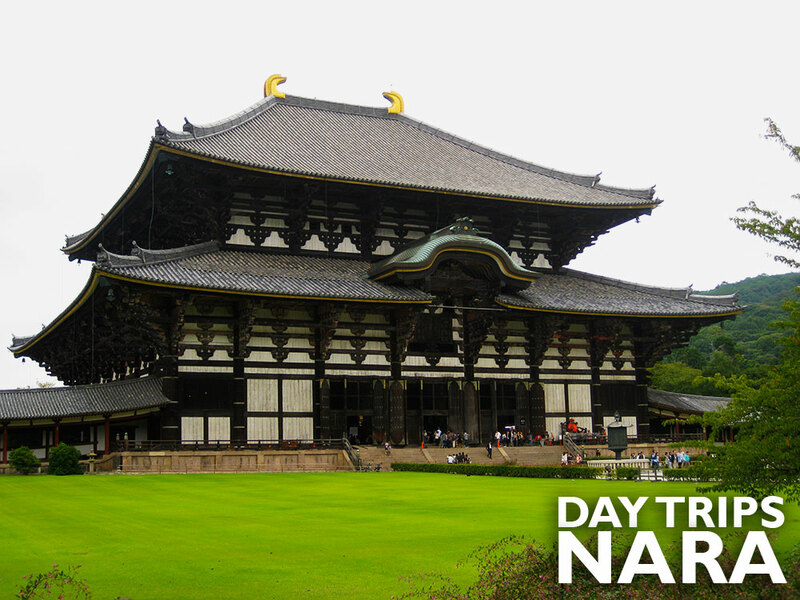 Today we are starting with a small city that's a great day trip from Kyoto and Osaka - Nara. Nara is located about an hour by train from Kyoto and Osaka. Nara is the capital of the Nara prefecture in the Kansai region of Japan. Nara was Japan's first permanent capital, established in 710AD. It was the capital of Japan through to 784AD, when it was moved to Nagaoka due to the growing political aspirations of the buddhist monasteries, which had became a threat to the government. Because of it's vast political history, the city is filled with historical landmarks and temples, many of which are some of Japan's oldest and largest.